When tasked to quickly learn the basics of the ML programming language for class and be expected to program an Abstract Data Type, I was a little bit frantic. In the short time given to me to prep for said programing project, I raced around looking for sources that would improve my understanding of the language and one of the sources i found was this book that was also recommended by the professor. 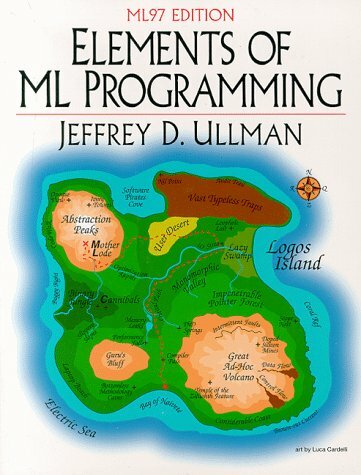 This book, Elements of ML Programming, has its reader approach ML from the vantage point of either someone who has never programmed but has some understanding of Programming theory or someone who has programmed before but never touched a Functional Programming Language. In that respect it excels at explaining the unique features of the ML language and how best to use and write in it. 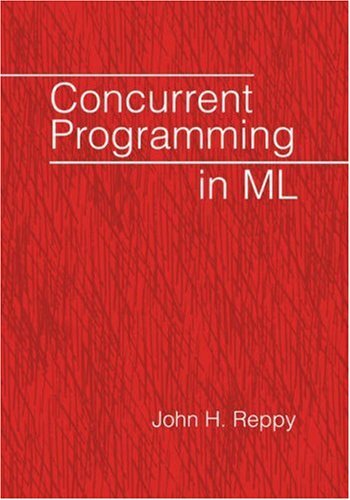 This book covers the ML programming language. Unfortunately this language is rarely used these days as a functional programming language . This is a97 edition which is again more than a decade old. If you are a person looking to learn a functional programming language i recommend learning the newer language such as Haskell. I used Haskell for my course recently. Examples and exposition are overall great.Jokes are clever and the tone is light through the book.It reads much like the Perl book by Lary Wall.It hits topics a bit slower than SICP.The biggest problem with this book is it left me felling "Ok, I know the syntax/semantics, now what? "This is a common problem with intro to programming books, and I don't fault it too much for that. The biggest weakness of this book in my opinion is it didn't strongly teach a "style" that I can adopt into my own programs (but then, no FP programming book I've ever read does).It did great teaching functional programming, but as with most intro-to-fp books forgot that real programs don't fit in one file and are several thousand lines of code. I appreciate the consistency of exposition, especially when explaining recursion of execution and recursive datatypes using basis and induction cases.It's a book for those who are interested in the crossover between CS theory and mathematics, but only introductory calculus is necessary (and that's only in one section).If you come from a procedural programming background, as I did, this book is an excellent introduction to the techniques of functional programming. 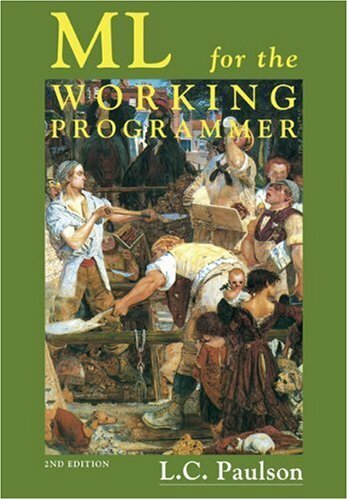 I would recommend reading this in conjunction with ML for the Working Programmer by Paulson.If you are looking for a gentler introduction to functional languages, like LISP and its sister Scheme, try The Little Schemer by Friedman and Felleisen. While I find functional programming, and ML/SML in particular to be most annoying, this particular book is helpful in illuminating some key concepts of the paradigm.However, there are certainly sections where complex concepts are either glossed over, or explained in a very confusing manner (take Section 5.3.1, for example, which attempts, in a somewhat confusing manner, the limitations of polymorphic functionality in ML and it's relationship to types.A dense topic to be sure, but also poorly explained. )Additionally, there are some technical errors to be found in the book (eg: things that 'dont work' which really do, incorrect error messages, etc), which I mostly attribute to SML having been updated since the author published the book (not really his fault). Certain things, ARE however, the author's fault.In particular, he addresses the audience with needlessly confusing 'Basis'/'Induction' definitions for many many things.For example, a binary tree is defined in such a way.This can be incredibly confusing, espcially if one does not already understand the concept of a BT or a BST. While ML/SML is a mathematical language, the author assumes too much formalism in his definitions, enough that the reading feels like reading a thick algorithms book at times (not a pleasant experience).Suggestion to author:Explain things simply instead of trying to coerce definitions into formalisms in which they do not belong (in particular the induction formalism which is very often confusing, use induction only when TRULY needed). On the whole, ok to learn from, but can be overly verbose in some areas (eg: the belabored explination of all the error messages) , yet unclear in others... (eg: the density of several sections). Also, as a parting note, there is not too much assumed about the reader, however, it helps to have a broad general computer science knowledge (as well as basic math, eg: calculus) unless you pickup new side-concepts very quickly. For example, in one example, the author uses the trapezoidal approixmation as an illustration of higher order functions. This is well and good, assuming you know calculus.While he does 'explain' the ideas (eg: what a binary search tree IS) if you havent had it presented to you before, you're in too deep. This book is really good. Everything is absolutely clear, and decisions related to the design of CML itself are explained, as well as how to use the language. Besides, Chapter 2 has the best short (<40 pages) introduction to basic concepts in concurrent programming that I have seen. A great book, by the creator of the theorem provers Cambridge LCF and Isabelle/HOL. ML was a language created by Robin Milner who had the ingenious idea of building LCF in ML and using ML's type system to ensure that theorems proved in LCF will always be secure. This book explains programming in ML with an emphasis on building theorem provers, covering topics like lambda calculus. The last chapter explains the full implementation of a simple theorem prover similar to LCF.This is invaluable to those who'd like to understand LCF, HOL, Isabelle, HOL Light, etc. The past into the future? My interest in learning ML started with reading the writings of people like Paul Graham who extoll the virtues of functional programming.ML seemed like the most accessible language for someone coming from an imperative oop background (due to the absence of '(' ... ')' which permeate Lisp and Scheme).There is however a dearth of introductory material on the web and what is out there seems to offer a piece meal, fragmentary overview.So I picked up this book and was not disappointed. Paulson does an excellent job of introducing ML concepts in a clear logical manner.This book is about a lot more than ML though.Paulson teaches functional programming in this book with ML as the vehicle.This is a great book for self study.So why not five stars?The typesetting is horrendous.This is not a pretty book. I think pretty much everyone will admit that ML never gained a lot of traction (Ocaml a bit more than SML I believe).The main problem I see with using ML for a large project is the lack of library support.So why learn ML?It turns out that ML has had an influence on new languages that have come out in recent years; F# and Scala are two.So time spent with ML should pay off when exploring these newer languages and whose close association with the .Net and Java platforms (respectively) cures the library availability dilemma. If you are looking for a book that will help extend your professional qualifications this is not it. However if work through this book you will emerge with much stronger programming skills in any programming language and gain some important insights in to writing intelligent programs. 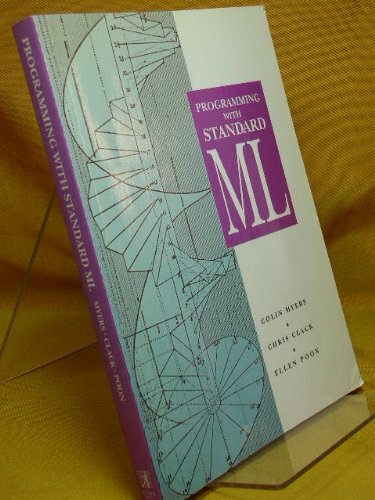 The book teaches Standard ML.Standard ML is a clean, modern, strongly typed, functional programming language.Some SML compilers generate code that ranks among the best for higher level languages.Standard ML comes out of a community that has been interested in developing logical theorem provers and tools for formal analysis of programs.Don't let this scare you away -- any reasonably bright programmer should be able to follow Paulson's explanations. 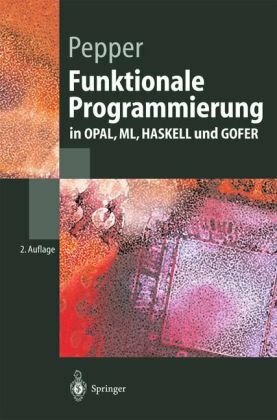 The book provides an accessible introduction to programming with recursive functions, higher order functions (functions that process functions) and working with a language with polymorphic types (a little like C++'s templates but the compiler figures out the types).This is as much a book on algorithms and data structures from a functional point of view as it is a book on Standard ML. I especially like the book's development of more advanced examples in the last two chapters. These have to do with writing programs that implement some key ideas in logic and computability theory.These were easy to follow even for a non-expert.I have a strong interest in how programs can be made to reason and learn and so these were really interesting. This book is not bad; the explanation of all that it does explain is very good. It's just somewhat impractical, especially given the name; the title is a terrible misnomer for a book whose major example projects involve a lambda calculus evaluator and a proof assistant for first-order logic (not exactly the sort of thing "working" programmers usually have to do! ).It does have some pretty solid demonstrations of how to implement various useful data structures and algorithms in SML (e.g. trees), but no "real-world" projects. The problem with this book is typical of the problem facing a lot of introductory material for many of the more academic languages-- they explain the theory behind the language very well and how the features work, but they don't really teach you how to organize programs in the language, stuff like what code to put in what file, when to use modules and functors, etc. If you cut your teeth in imperative OOP like I did, reading this book you might get to understand the features of this language, but without still being clear about how one would go about writing an actual program in it. Still, this is a book worth owning. I have no doubt this is a well-written book (I read it in its entirety).Unfortunately, the examples weren't compelling to me at all.While the lambda calculus interpreter was interesting, the time spent on the theorem prover was not very interesting (I wonder if it was added as an homage to ML's legacy??). 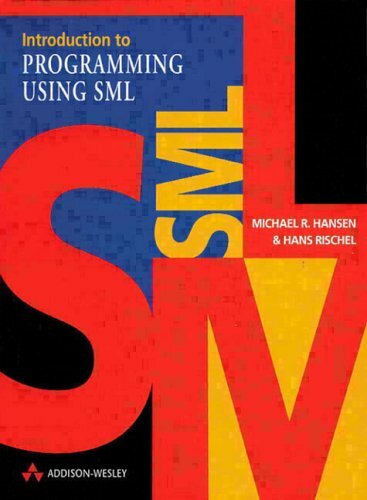 The book gives very good introduction to sml and functional programming. It is very easy to read (actually the first programming book I ever read), and it is very thorough. Beside teaching you sml the book gives examples of how to design, implement and write technical documentation for different problems. The examples is carefully choosen to illustrate the power of sml. All around a good book. Maybe it lacks a little more thorough explanation about higher order functions. But surely the best introductionary book about sml, I have ever read. 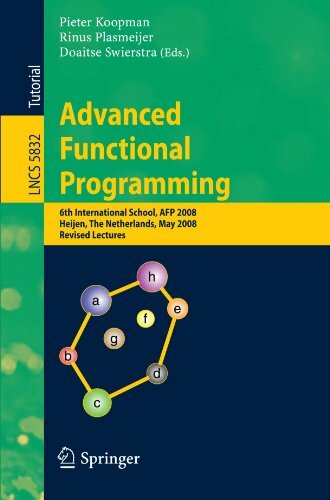 This book gives you a good foundation of functional programming, with many threads into more advanced topics. The book also contains four chapters on problem solving, they will give you many ideas for practical use of the methods described. The exampels contain insight in algoritms and datastructurs, and the use of ML types is presented with full understanding of the problems. The book has a very compact structur, but gives good explanations on topics like recursive- and higher-order functions, datatypes and records. This book is not very good as a general introduction to programming. This book wants to give you a tool which you can use to solve purely technical tasks. Further, it wants to give you a programming style before introducing any basic concepts about the programming language. Finally, SML is a bad choise if you are a complete newbie, as the SML lives in a very small world. There are 100s of books on other languages, but so far we only have 3 (three) books on SML. Because SML is a technical book for the university. However, I doubt anyone would buy this book if he or she was not a student. Besides, there are many errors in this book ... If you want an introduction to genuine programming, i suggest you read Teach Yourself C by Herbert Schildt. Good coverage, decent depth, doesn't fully go to the depth of "functionality"
This book merits four stars: it covers lots of relevent subjects and tackles them to a good depth. 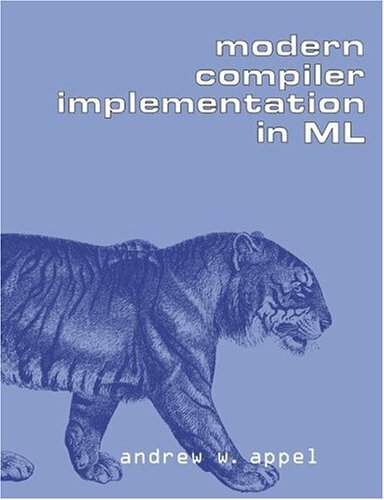 The book is about writing the compiler in ML. That's where I feel the book fails to shine: the design stays shallow. Arguably, high abstraction would have been hard to write about. The book is very clear, well written and the author guides the reader with simplicity through all the steps required to implement a compiler. The code in ML to implement the most important routines is given with complete explanations. For the other side the writing style is not enlightening, I did not fall in love of this book, but it is an excellent book for learning and understand. I love this book.Having experimented with compiler construction for some time (though never seriously), and being a long-time ML user, Modern Compiler Implementation in ML was the perfect companion to my compiler-construction project.I largely ignored the "Tiger" language described in the book - I had my own ideas about what I wanted to create.Relying on the book to give you code for a whole compiler is asking far too much.The general concepts are explained, and then reinforced with sample code.I suspect the people who have complained bitterly about this book are actually just looking for a source code print out. All in all, very worthwhile.Read a chapter, try to implement the concepts, and then either re-read the same chapter, or move on. 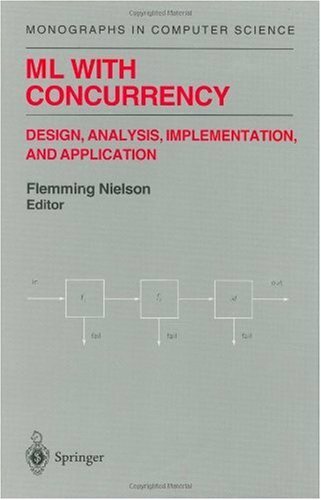 This book covers a remarkably broad territory of compiler issues, with a good balance of clarity and depth. It spends long enough on each topic to work through examples of functioning code, but doesn't dwell on any for so long that the reader loses interest. A decent set of variations on language design, runtime organization, and machine architecture are also discussed and implemented. An important caveat is that readers ought to know some dialect of ML. If not, this book does not teach it; there are alternative renditions of the same text in C and Java, but I have not read them. Apparently many reviewers find those confusing. The java rendition, for example, has many angry reviewers. Possibly disgruntled students who had a hard time with their coursework, possibly people with valid complaints about the text. All I can say is that I quite enjoyed it, and return to it regularly for its clear presentation, when working with related algorithms. This book has a lot of valuable information with regard to the construction of a compiler, that fact is overshadowed by the amazingly poor editting. This book is a lesson to programming languages everywhere.The language definition is succinct, accurate, and to the point.Anyone who has attempted to penetrate such documents as the ANSI C or C++ standard is met with hundreds of pages of ambiguous, confusing language, about which formal reasoning is next to impossible.By contrast, this book describes the language syntax and semantics in a precise, mathematical style, making actual implementation of the language straightforward, as well as providing a usable definition for reasoning about the correctness of implementations.This is an example of how language definitions should be done. This book was apparently written by Math PHDs for use by Math PHDs.I found it to be pretty impenetrable.With this sort of language report, and the shortage of "how to" books for beginners, SML is probably doomed to obscurity, which is unfortunate. To explain it in the words of the authors: "The keystone of the method [used to define Standard ML in this book], then, is a certain kind of assertion that takes the form B |- P => M and may be pronounced: 'Against the background B, the phrase P evaluates to the meaning M.'Theformal purpose of this Definition is no more, and no less, than to decreeexactly which assertions of this form are true." 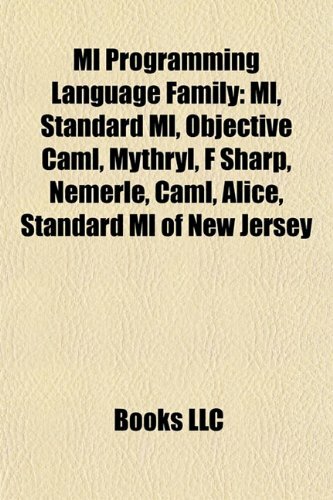 Standard ML is avery powerful language because of the abilities it grants and therestrictions it enforces.While reading this book will not teach you SML,it will help reinforce its subtle elegance.If you have developed aninfatuation with this language, you will not be able to resist the onlybook that truly contains it. While not necessary to enjoy this volume, aprerequisite to have any understanding of its contents is some sort ofbackground in type theory and mathematical logic that a course like thisone taught by Harper... can only beginto provide. 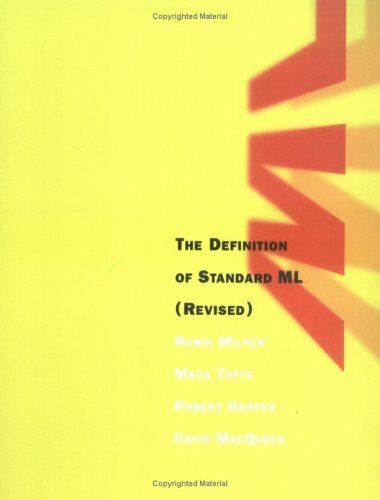 The full mathematical description of the functional programming language ML was given in Milner, Tofte, and Harper's Definition of Standard ML. 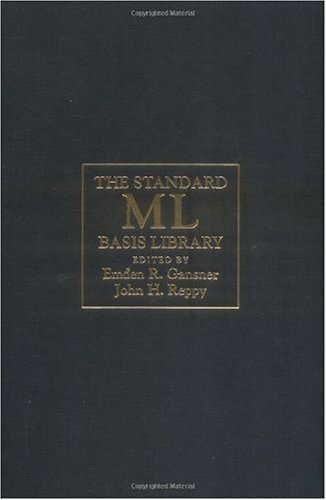 This companion volume explains in depth the meaning, or semantic theory, of ML. Together, the two volumes provide a complete understanding of the most prominent of a new group of functional programming languages that includes Haskell and Scheme. In making the Definition easier to understand, the authors not only explain what ML is, they explain why it is. They present some of the rigorous analysis that supports the Definition including a selection of theorems that express important properties of the language. The Commentary is also a working document that shows the way in which the specialized theory of ML can contribute to broader research on language design and semantics. Excellent tutorial to the ML; great for beginners! This primer is a fun and gentle read. An excellent tutorial for ML beginners. Highly recommended to people who are interested in learning more about the ML language and basic concepts in functional programming. The author has a clear grasp and good understanding of his intended audience. His prose style is highly engaging. I simply couldn't put the book down until I finished reading it. Yes, it's that fun! One of the best introductory programming language books around, on par with the "Little Lisper"!! It sure would make you want to learn more about functional programming in general. 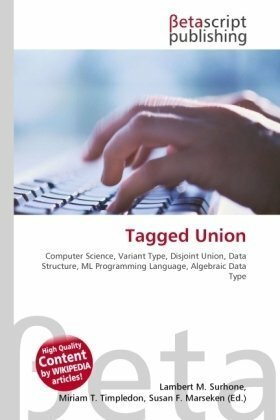 This is a great textbook for undergrad computer science introductory programming courses. I know most students would appreciate it if there are more introductory books like this in computer science. The book presents the following seven, carefully cross-reviewed chapters, written by leading authorities in the field: Self-adjusting: Computation with Delta ML, spider spinning for dummies, from reduction-based to reduction-free normalization, libraries for generic programming in Haskell, dependently typed programming in agda, parallel and concurrent programming in Haskell and an iTask case study: a conference management system.